Tolland High School is a community of learners who show engagement and perseverance in their academic endeavors. Students are expected to demonstrate respect for self, others, and the environment; to be dependable and responsible citizens; and to act with integrity within our school and global community. The Tolland High School community is committed to providing a rigorous curriculum encompassing 21st century skills in a safe, inclusive and enriching environment. 7:15 a.m. to 1:43 p.m.	7:15 a.m. - 10:45 a.m.
June 13th, 6 p.m. THS Gymnasium. Doors will open at 5 pm. Shuttle service is available from TMS. Students receive 8 tickets each. A whole senior packet with all this information on all senior activites will be distributed to students during the May 7th advisory. 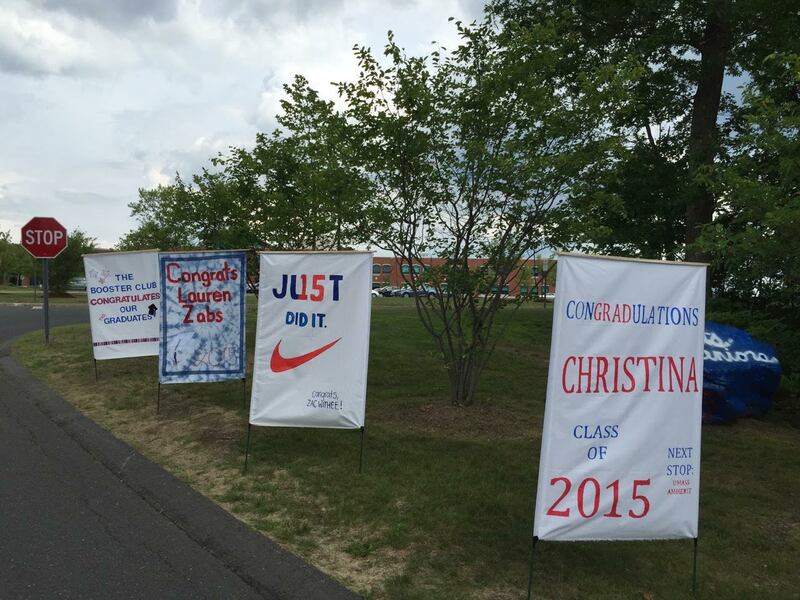 Tolland High School’a Booster Club and Tolland Project Graduation have teamed up for the Class of 2019’s Banner and Lawn Sign Project. Personally designed banner will be displayed along the high school driveway before the commencement ceremony and will be returned to the student at Project Graduation. Banners are to be made for seniors only and may be created using any color-fast media, i.e. spray or fabric paint in our school colors of white, blue, and red. Keep in mind these banners need to be weatherproof. 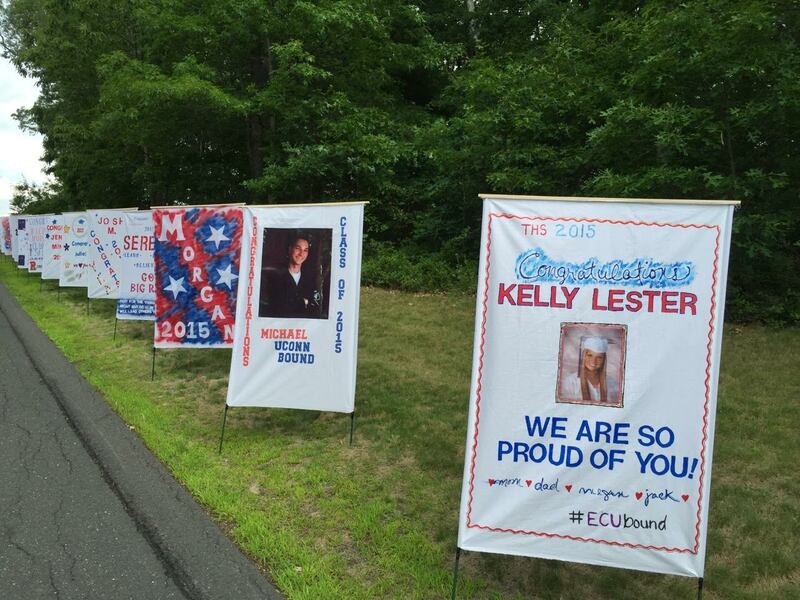 To celebrate your child’s graduation at home, lawn signs are also included. The cost of the banner and lawn sign is $40. They must be pre-ordered by Friday, April 26th. 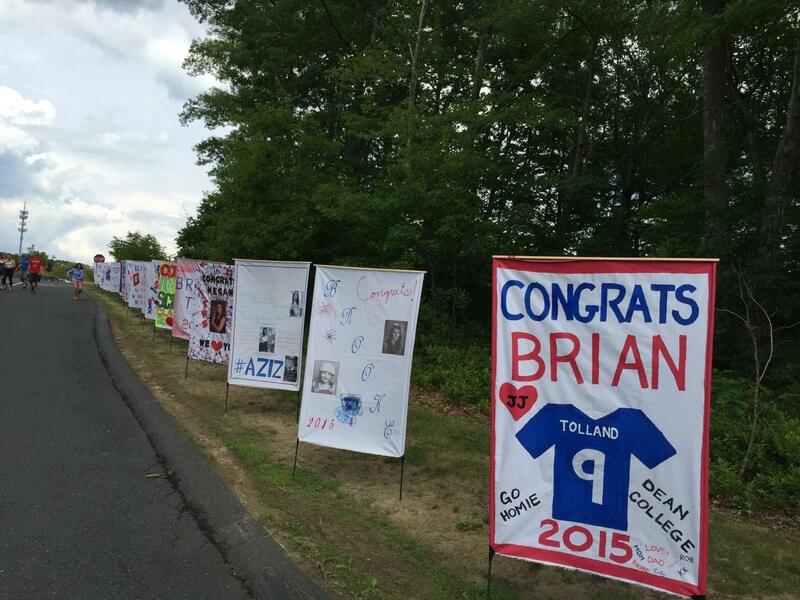 Please check out the video on THS website or on the Tolland High School Parents Facebook page for examples of last year’s banners. If you have any questions, please email Sara Girard at ​sgirard7896@gmail.com. The Tolland Project Graduation committee is asking parents of students in grades K-11 to consider making a donation of any amount to help fund the ALL-NIGHT graduation party that is FREE for seniors. Time passes in the blink of an eye and soon your child will be graduating too. Parents of seniors may donate if they wish, but there’s no obligation. Many businesses in Tolland and neighboring towns have already given money to support this special event. With your help, we can provide a SAFE place for our young adults to celebrate their accomplishments with friends before leaving for college and the work force. Please feel free to reach out to Dan Carmody (860) 874-5597 with any questions. TPG, Inc. is a federally registered 501(c)(3) non-profit organization. Save the date for the Eagle Scramble Golf Tournament Sunday, September 29th. For more information, please click here for the flyer. If you would like to download a copy of our activities calendar, just click here. You can purchase a yearbook online before October 30th, the price is only $75. Yearbooks are $85 after that and go up to $90 after February 20th. You can order online at ybpay.lifetouch.com with code 10945819.